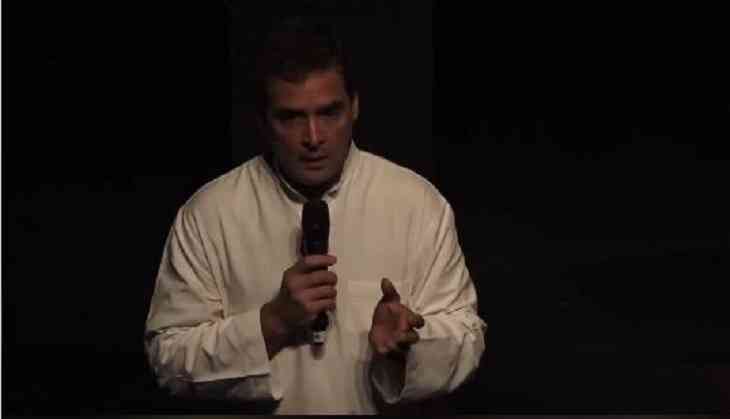 Congress President Rahul Gandhi is on his four-day tour of the United Kingdom and Germany. On Wednesday, Gandhi was at Bucerius Summer School in Hamburg, Germany, where he highlighted the various issues in India. He addressed to the audiences and said that it is the Indian men’s mindset because of which the crime against women is increasing in the country. Rahul Gandhi added that the crime rate in the country has been increasing vehemently and women are becoming the soft targets. Further, Gandhi lashed out Prime Minister Narendra Modi for not solving the job crisis in the country. Rahul said that what work PM Modi did is only for the big corporates not for the poor in the country. "The Dalits, minorities, tribals are now not allowed to gain from the Govt. All the money that used to go into schemes for the poor are now going to a few large corporates," Congress President said.